We have just acquired a fascinating, captioned, photo from e.bay which helps illustrate a tragic story and raises interesting questions about the circumstances surrounding it. click photo, to enlarge it and see the detail. This post examines the photo, the story it tells, those affected by it and addresses perturbing questions it poses. You should be able to enlarge the high-quality photo easily enough, in order to see some of the points raised, below. Associated Press Photo (caution: use credit). From: New York. V-2 Rocket Bomb Damage in London. 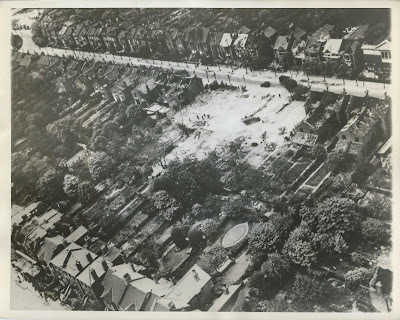 Fifteen people were killed, 73 injured and a large number of houses were demolished, or damaged in March 1945 when a German V-2 bomb fell on Earlham Grove, Forest Gate, London. This is a British official photo taken in April 1945 and just released. Associated Press Photo 5-31-45 (ed: 31 May 1945) etc. It is, in fact, a photo of a bomb which completely destroyed, and killed the residents of nos 56 - 64 Earlham Grove on 6 March 1945. The subsequent bomb site is now the location of Earlham school (see photo below) and it is diagonally opposite what was then the Synagogue on the road - see top right hand corner of the photo for a partial view of the Synagogue. The caption indicates that the photo was taken in April 1945 - the month following the damage. In the intervening period, the crater was clearly filled in, probably by the rubble (also not apparent)created by the rocket. It is interesting that the photo was not released until 31 May - 8 weeks after the bomb fell and over three weeks after the war in Europe was over. The "bomb site" looks remarkably tidy - far more so than those I, as a boy, remember playing in a decade later, elsewhere in Greater London. A very close examination of the photo shows a number of points of interest. Firstly, trees in the road were still standing, some in leaf, even very close to the centre of the blast - which is a testimony to their resilience. Second, close examination of a number of the roofs on houses close to the bomb damaged area show what look like tarpaulin coverings, providing temporary respite for those still living in them from rain and other weather damage, pending repairs to them. Third, there are clearly a number of people in the centre of the bombed area, which begs the question as to whether they were scavenging for objects from the destroyed properties - not an unusual feature of the period, following bomb destruction. Fourth, at the very top right hand corner of the photo, there is the suggestion of another bomb site. Below, we speculate on what that might have been and who those killed by the bomb probably were. The caption identified the exact number of people killed (see below for details), so there is a good chance that its stated 73 injured was also accurate. For totally understandable reasons, the caption did not, and probably could not, describe the nature of the area, or speculate on the reasons it was targeted. There is only one, publicly available, contemporary account of the incident, from the Stratford Express of 9 March 1945, just three days after the rocket strike - see below. It is fascinating from at least two respects. Firstly, it was careful to adhere to government censorship regulations in that it did not give any close direct clue as to the whereabouts of the bomb - for fear of aiding enemy intelligence - simply referring to the location as being "in a Southern England district". 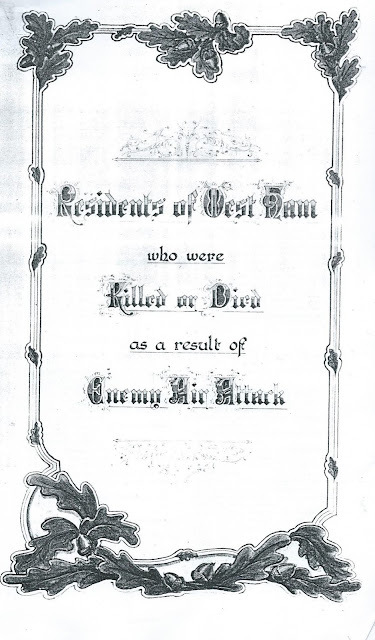 Second, it clearly relied on local witness statements for the story, published in the very next edition following the bomb hit, unlike, for example, the Dames Road Doodlebug hit that we covered recently (see here), whose definitive account was equally vague on location but came almost 2 months after the bomb, from government information sources. Any local readers would know exactly what and where the article was referring to. Hence, genuine local news was provided, without giving succour to German military intelligence. Jewish minister had lucky escape. 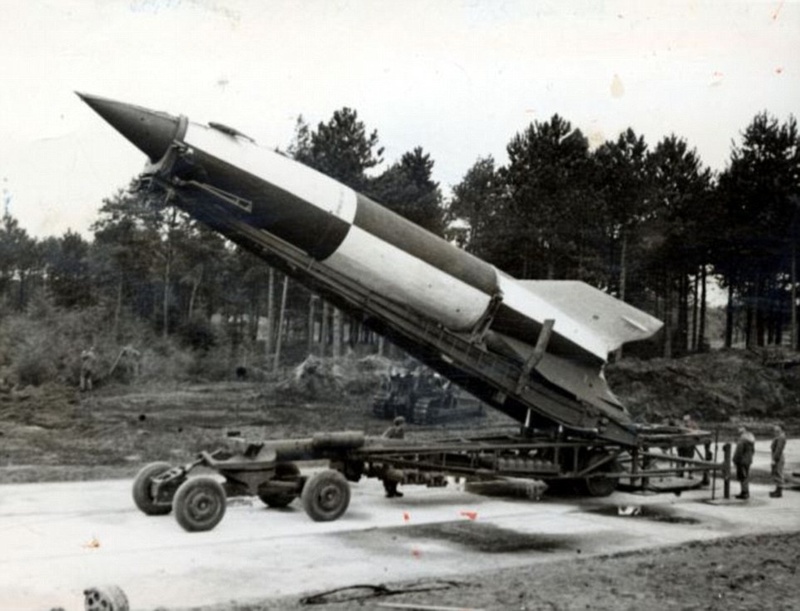 The minister of a synagogue in a Southern England District probably owes his life to the fact that he was away when a V-bomb fell almost directly opposite the site where he lived. Upon returning, he discovered that several members of his congregation were among those who lost their lives and their homes. 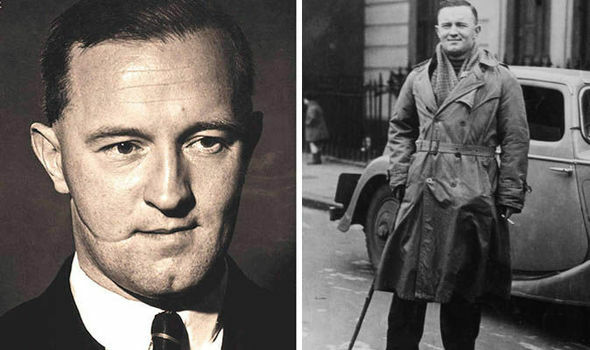 Mr Woolf, with whom the minister resided, found that his wife and son, Murray, had had a lucky escape, and were unscathed, although the front of their house had caught the full impact of the blast. The missile, which fell on some double-fronted houses, killed elderly Mr Owen and an 18-month baby B Adams (ed: Beryl, see below) and four members of a family named Golding (ed: all listed below). Three other members of the (Golding) family, including a soldier recently returned from the Middle East, where during the fighting he was ambushed and the only one of his party to remain alive (ed: this could well have been Jack Golding, aged 23 - he fits the age profile - as indicated in the list of the dead, below), were among those at first accounted for. Digging operations for these and three other people continued after the bomb fell. 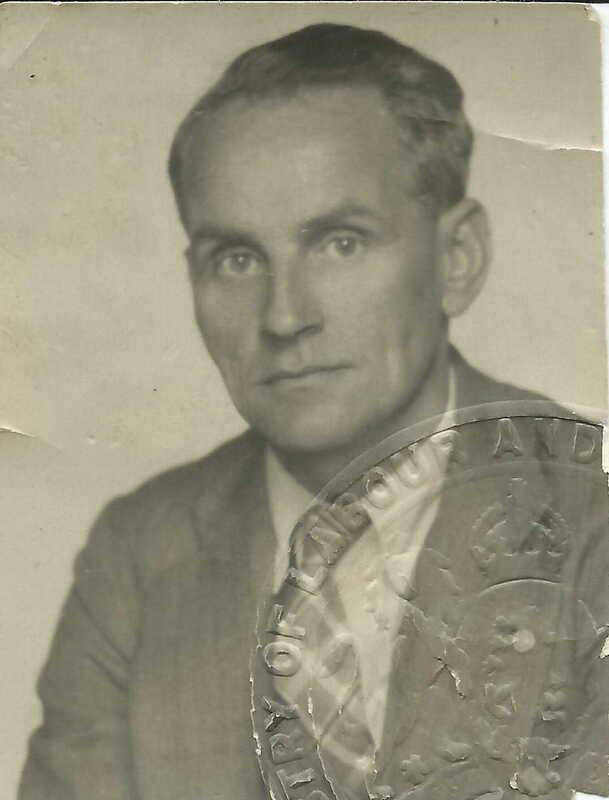 Mr J Francis, the caretaker of a nearby synagogue, which owning to its sturdy build took the blast well, immediately rushed over to an opposite house and stared searching for the occupants. After a short while, with the aid of some A.R.P. personnel, they recovered from the wreckage, Mrs Lunt and her 86-year-old mother, Mrs Owen, both only slightly injured. 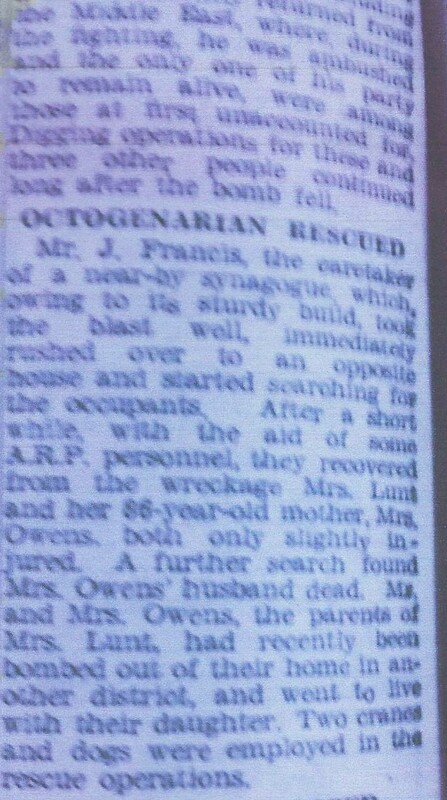 A further search found Mrs Owen's husband dead. 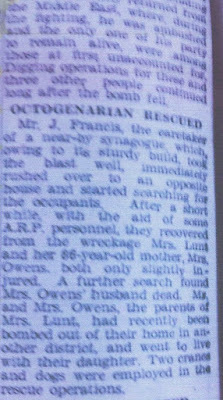 Mr and Mrs Owens, the parents of Mrs Lunt, had recently been bombed out of their own home in another district and went to live with their daughter. Two cranes and dogs were employed in the rescue operations. 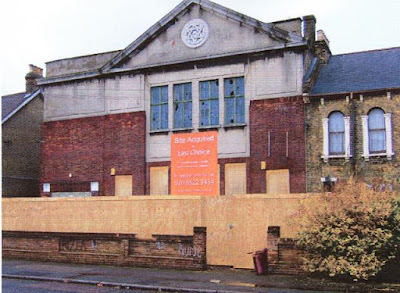 Howard Bloch, Newham's late archivist and local history librarian, wrote an intriguing book on the Earlham Grove Synagogue twenty years ago (Earlham Grove Shul) - see footnote for details. "The front of our house was taken off at an angle. The blast was almost directly opposite. I was in the back of the house. There was this enormous vibration and noise and the whole house shook and I opened the door from our living room which opened on to a passageway. The front door had been blown right in and all my stuff (dental equipment) for starting at Guy's (Hospital)in the autumn of 1944 had been upstairs front room and it had just gone - disappeared. 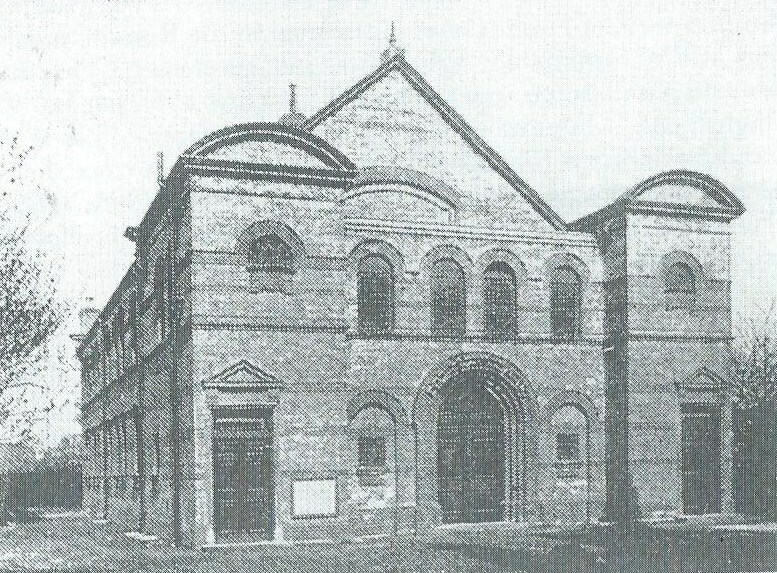 Here again considerable damage was sustained to roofs, ceilings and windows of the Synagogue and Hall, and general damage throughout. The Minister's residence at 91 Earlham Grove was partially demolished and the caretaker's residence extensively damaged - these residences are being repaired by the local authorities. Fortunately, the officers concerned and their respective families - though shaken - escaped un-injured. Services are being held temporarily in the lower portion of the Communal Hall. The condition of the house in Earlham Grove made it uninhabitable and the minister was offered alternative accommodation ... in Romford Road and subsequently moved there. Fifteen people were killed and 73 injured by the rocket. The West Ham book of the civilian dead (see copy of cover) identifies those killed. All bar three of them would appear to have been members of the local Jewish community - hardly surprising, given how close they lived to the Synagogue, and Jewish traditions of only walking to the place of worship on the sabbath. We have searched Ancestry for details of those killed by the bomb and supplemented the War Dead register with details from it. We provide details of those killed, house by house below. 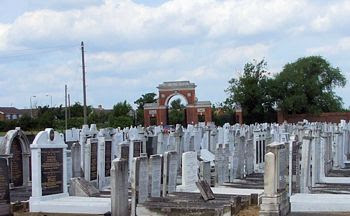 The one apparently gentile household - the Adams' family of number 56 - stands out not only because of its apparent non-Jewish nature, but also because Ancestry provides considerable details about the head of household - Edgar. We share the information about him below the main section on the deceased. Joyce Mable Adams, aged 25, husband Edgar Henry Adams, aged 50 and their daughter Beryl Joyce Adams, aged 18 months. These were, perhaps, the only gentiles killed by this bomb, and Edgar has an interesting story - as outlined by the press cutting, below. Bernard Carl Marcovitch, aged 16 and his mother Rachel Marcovitch, aged 38. Rachel was the widow of Lazarus Marcovitch and, according to probate records, left £636 in her will. Marks Golding aged 63 and his wife Sarah Golding, aged 61. They were both Russian - Polish nationals. According to census records, Marks had been a cap maker. In addition Hilda Golding, aged 30, the daughter of Mark and Sarah was killed by the blast. She was described as a spinster, and according to probate records left £100 in her will, administered by two of her brothers - Tony Solomon Golding, and audit clerk and Barnett Ben Golding, a tailor. Intriguingly, official records indicate that her body was not found until 8 May - two days after the bomb blast - unlike all the other victims who were found on the 6th. This suggests that she was buried under rubble - and found later by the rescue workers, dog and equipment referred to, above - which had obviously been cleared by the time the blast photograph had been taken. Also killed were her brother Jack Golding, aged 23, and his wife Sadie, aged 22, together with Geoffrey Golding, their two year-old son. According to probate records, Jack left £50 in his will, administered by the same two brothers as Hilda's. Jack, as suggested in the Stratford Express report, above appears to have been on leave from military service, having escaped death in a recent incident in the Middle East. 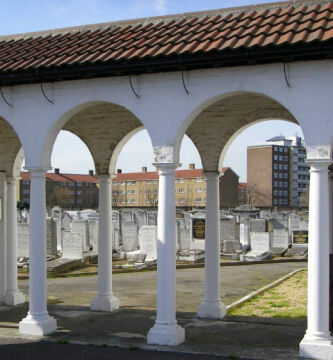 Some of the Goldings were buried in East Ham Jewish cemetery and others in Rainham Jewish cemetery. Rose Schector, a 62-year old Polish national and widow of Jacob Schector. She appears to have been visited by Hetty (31) and her husband Nathan Bogansky (29), of Hoe St, Walthamstow on that day, as they were also reported as having been killed at this address by this missile hit. Samuel Henry Hoinville, aged 84, a former boot repairer. He would appear to have been visiting from his home address in Holms Street, Hackney. 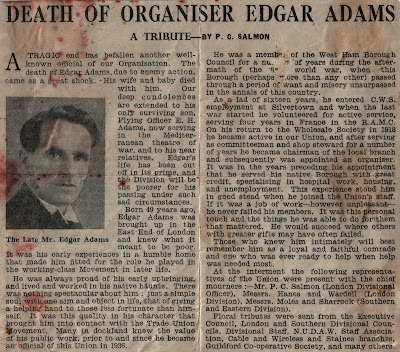 Below is an obituary of Edgar, from The Distributive Trades Journal, the newspaper of the National Union of Distributive and Allied Workers, the forerunner of USDAW (Union of Shop, Distributive and Allied Workers). 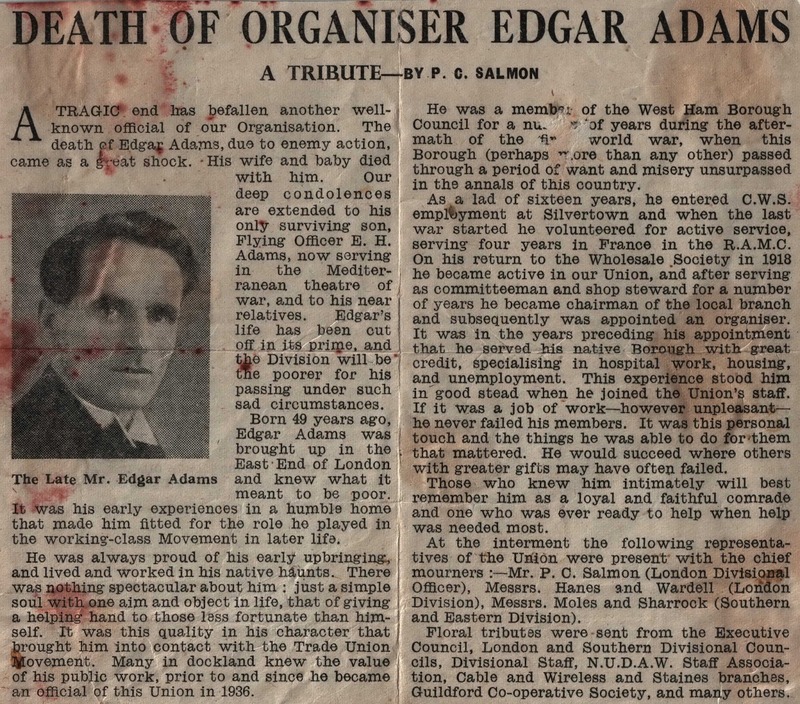 In brief, he became an official of the union in 1936 and prior to that had been a member of West Ham Borough council, "when the borough (perhaps more than any other) passed through a period of want and misery unsurpassed in the annals of this country". He specialised in housing, hospitals (at at time when it was a local authority responsibility) and unemployment. He joined the Co-op, as a 16-year old shop worker in Silvertown and spent four years in France during WW1, as a volunteer. He became active in the union on his return from the war, and soon became a shop steward (no pun intended). He later became chair of his union branch and subsequently a full-time paid organiser. 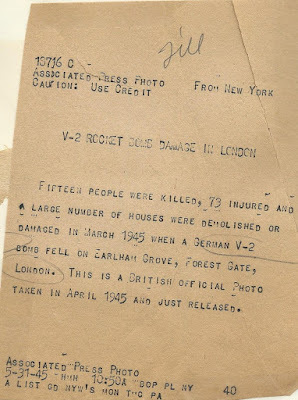 Earlham Grove was struck by a V2 rocket. 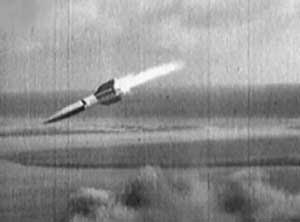 These were the world's first long range ballistic missiles, the first artificial objects to fly into outer space. They were deployed in late 1944, for the first time. The British government initially tried to conceal their effectiveness, by describing the explosions they created as being caused by "defective gas mains". A total of 1358 were launched on London, over a six month period, resulting in an estimated 2,754 deaths and 6,523 casualties. The Earlham Grove rocket was one of the more destructive, with over seven times the average number of deaths and almost twenty times the average number of causalities. It was also one of the final strikes. The last two were launched exactly three weeks later - on 27 March - less than seven weeks before the official end of the war in Europe. We do not know whether the technology was getting more sophisticated and its accuracy was getting greater as more were deployed. The fact is, however, that the rocket struck incredibly close (less than 10 metres) to the Synagogue, which was, for a while at least, the largest in Essex. Pin point accuracy from the descending V2? Was that missile deliberately aimed at the Synagogue, in a last desperate act of trying to address Hitler's "Final Solution" - the total destruction of the Jewish people? We listened to Lord Haw Haw in the Anderson, searching the dial of the wireless until the arrogant rasping voice filled the small enclosure. 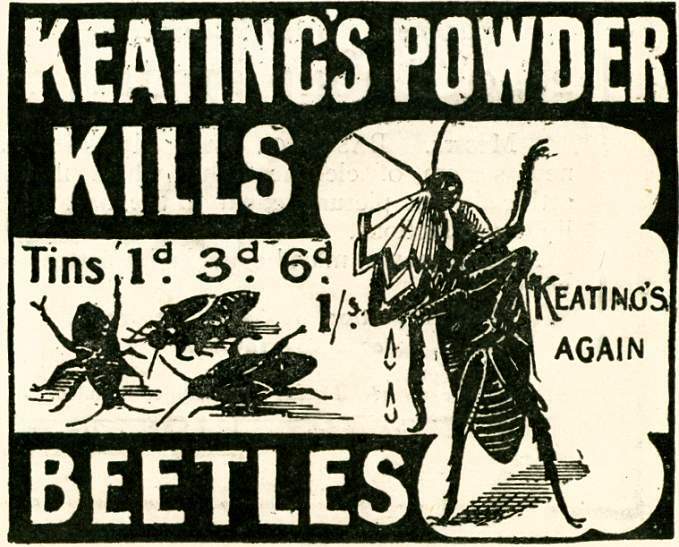 'We shan't be dropping bombs on Earlham Grove tonight, we shall be dropping Keating's Powder' (ed: a brand of disinfectant). Was Earlham Grove deliberately targeted because of the presence of the Synagogue? Given what Howard Bloch has reported on how busy the place of worship would have been at the time of the hit, was its timing aimed to have a maximum destructive impact on a Synagogue and its worshippers? We will never know the answers to these questions. Put at their simplest, however, these issues provoke the question: was this V2 deliberately aimed at one of Hitler's key targets, or did those launching this particular missile, just "get lucky", from their perverted perspective? A close inspection of the main photo in this article suggests that the blotch at the very top left hand corner of it could well have been the site of another hit, in which case, it was probably the bomb that fell on Earlham Grove on 30 October 1944,killing 10. Agnes Turner (aged 55) - nee Sullivan. She was the widow of Ernest Turner. In addition to Agnes, her two children, Agnes Frances Turner (aged 24) and William Turner (aged 13) were also killed. Charles William Hazell, (aged 14), the son of M.E. Hazell and the late Alfred Ernest James Hazell, was also killed at number 3. Edith Lillian Read (aged 42) - nee Barrett, husband of Henry Herbert Read (1901 - 1972) and Terence Read (aged 7), her son. All four were members of the Everitt family, whose father had earlier been a well-known local stone mason. The four were: Clara Hall (69) nee Everitt- she had been an elementary school teacher in East Ham. Between 1911 and 1944 she had married Alfred Hall, who died before the bomb had struck. Clara had subsequently returned to, or continued to live at, the old Everitt family home. Also killed were three of her sisters, none of whom had married. They were: Alice Everitt (aged 66), Annie Everitt (aged 56) and Ellen Everitt (aged 64). At the time of the 1911 census all three (as well as Clara) were living at 7 Earlham Grove with their parents, Robert and Annie Everitt. Alice appears to have been a children's costumier in 1911 and employed her younger two sisters in the same trade. Footnote 1. 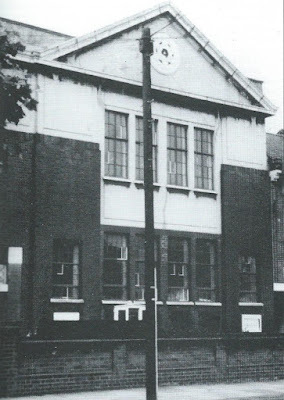 Earlham Grove Shul - One Hundred Years of West Ham Synagogue and Community, by Howard Bloch, 1997 pub by the Synagogue. Now out of print, but copies can occasionally be found on Amazon. See here, for this blog's summary of Howard's excellent book. Footnote 2. 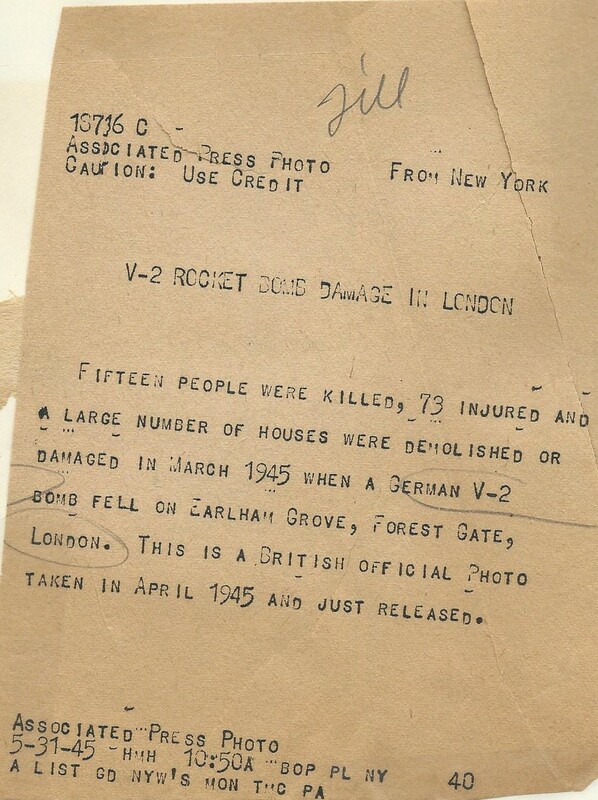 For a wider account of V1 and V2 bombs falling on Forest Gate in 1944-45, see here. Thank you very much for this article. I lived opposite Earlham School in the 1980s. I only found out what happened to those houses when I looked at the Bombsight web page. Those poor people. With the blackout lifted by then and only six weeks to go until the end of WW2, they might have assumed that they had seen the war out.